Winter has come. Time to switch to ski maps!Locus	Winter has come. 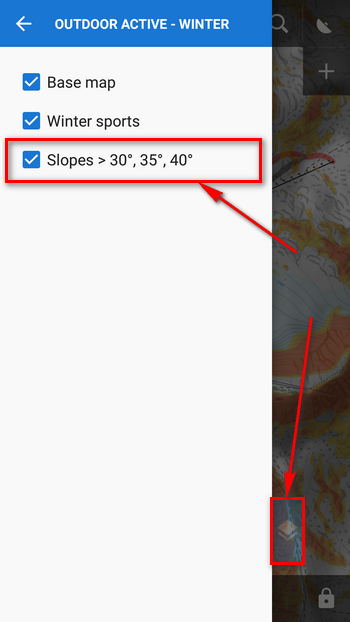 Time to switch to ski maps! Looking out of the window we’re sure it’s here. Overcast sky, temperatures dropped to zero, freezing drizzles. That’s the less pleasant side of it. But let’s have look at it from the positive point of view – Alps covered with the first powder, and not only Alps. Also much smaller Krkonose or Jeseniky here in Czechia have dressed in white, luring us out to have some fun. 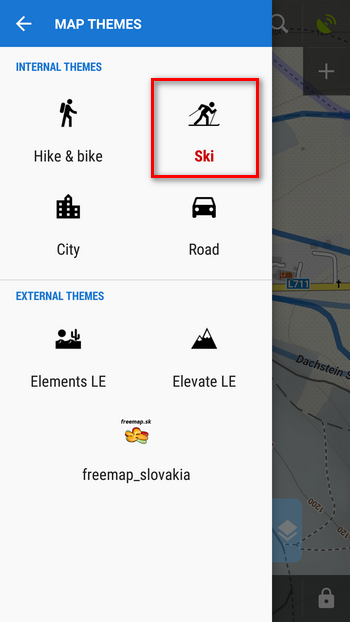 That means changing yourself into the winter mode – summer gear gets stored in a garage and out are coming cross country and downhill skis, snowshoes, snowbikes, skates, sledges… All the same, Locus has to switch to winter mode too – and the cornerstone of it are SKI MAPS! 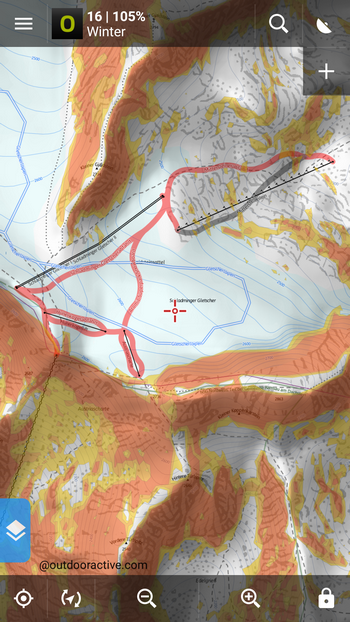 Locus Store offers maps of two providers – Asamm LoMaps and Outdooractive Winter. Skialpinists appreciate additional coloring of slopes steeper than 30°, 35°and 40° according to which they can avoid avalanche danger. Just go to Locus settings > Maps > Advanced > Map shading > turn Slopes on. Asamm LoMaps cover the whole world as they are rendered from OSM data. These data, however, are not detailed enough everywhere and in many countries the winter content is missing. On the other hand, first three LoMaps can be obtained for FREE, more updates for a symbolic price. For example, whole Austria costs about € 0.75. Outdooractive Winter maps are available in Locus Store and you can purchase subscription for their online usage with 7 day FREE trial or buy pre-loaded offline map packages of the area you need. So, first things first, we’ve got the map. Next time we’ll have a look at a few special winter feature tips. Cheers! 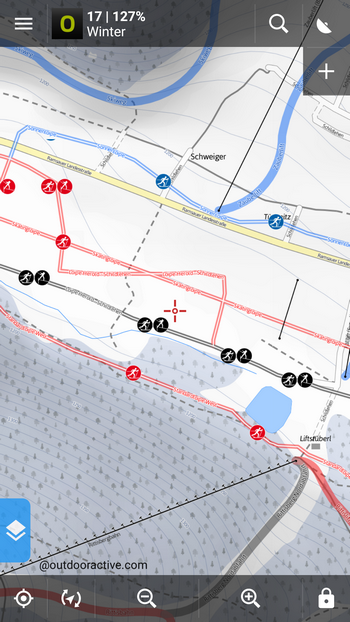 What are the exact criteria for ski tracks to be rendered in Locus map (i.e. Asamm LoMaps)? 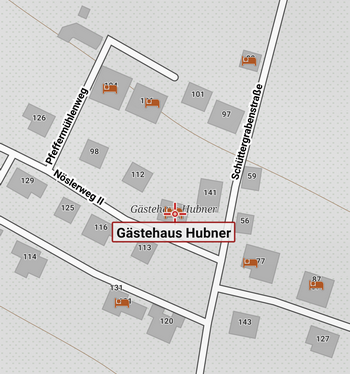 It seems insufficient for the an associated route to be tagged with piste:type=nordic etc. 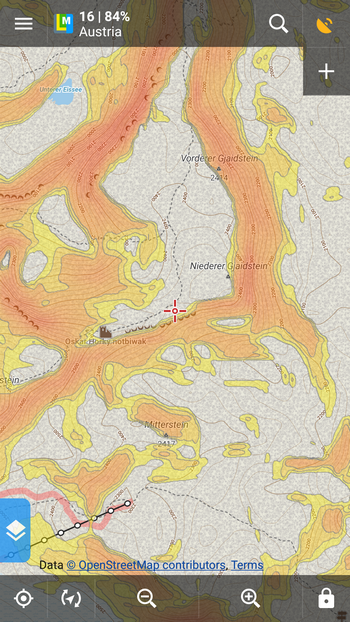 (https://wiki.openstreetmap.org/wiki/Piste_Maps). Rather, the actual tracks seem to need the piste tagging. I couldn’t find any source where to look that up properly. Thanks! I hope I can understand your question. The relations and ways that have only piste:type=nordic are also shown in LoMaps (with internal themes). Please check that you use the latest LoMaps in version 2018.01.04. 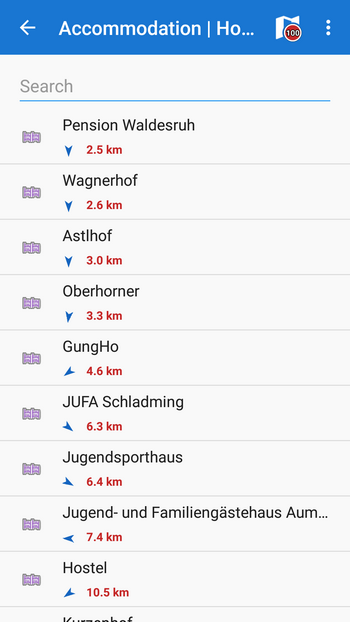 For this version were added also all routes with piste:type=nordic tag. Is there any route that isn’t shown in the latest 2018.01.04 version? Thanks for the info. Having updated the software didn’t improve things, but updating the map (LoMap offline) made it in fact work. 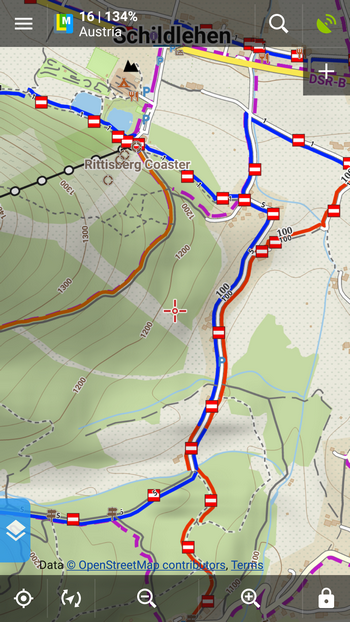 The track in question is now rendered blue (in ski map view). As of the new version this seems sufficient, i.e. being part of a relation with the above “piste:” tags. 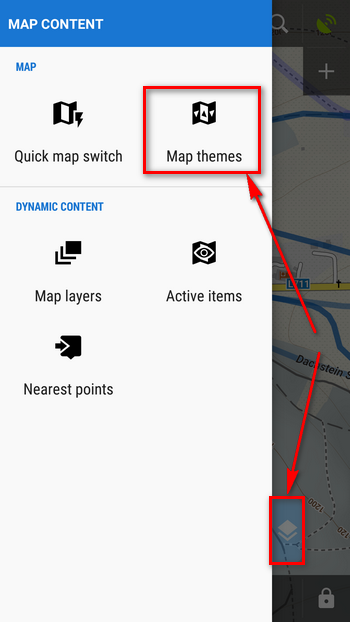 Thanks for the help, really enjoy Locusmap! the problem was in “SKI” relations that weren’t shown till the latest version (2018-01-04) of LoMaps. It’s fixed now. Unfortunately Outdooractive for Switzerland is not available in the Locus Store. Maybe explore heatmaps from Strava? They can be lifesaving!